In his hometown of Karlsruhe, in front of a sold out crowd at the Ufgauhalle, Feigenbutz produced a mature performance that belied his 23 years. 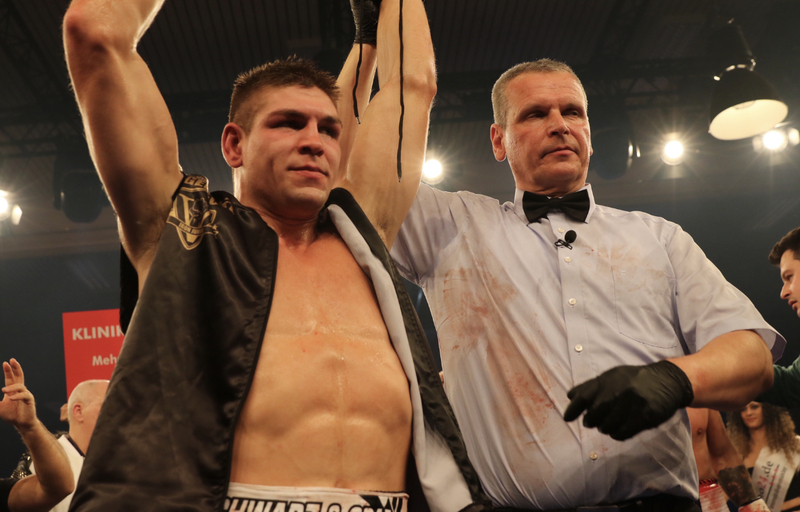 Feigenbutz dominated from the opening bell with a measured yet powerful display, which saw referee Joerg Milke wave off proceedings in the fifth round following another vicious onslaught from the young German. 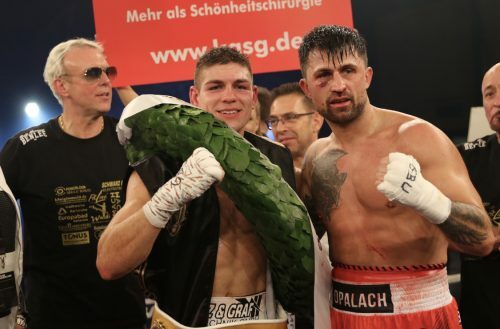 With 48 knockouts between them, it was unlikely that the fight, billed as ‘The Battle of Karlsruhe, would go the distance, and while Feigenbutz improved his impressive 84% knockout ratio, Opalach suffered his first knockout defeat.